Nepal Airlines is planning to buy four new aircraft to fly new international routes including Indian destinations. The airline currently owns four airplanes for its international routes: two Airbus and two Boeing. Along with these, it also operates small aircraft on its domestic routes. 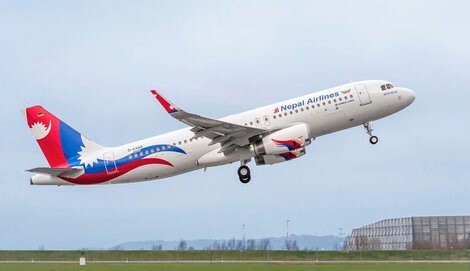 “We are planning to buy four aircraft — two wide-body and two narrow-body, preferably from Airbus with an estimated cost of US$400 million,” says Sugat Ratna Kansakar, managing director, Nepal Airlines. Nepal Airlines operates services to Delhi, Mumbai and Bengaluru. “We have received requests for starting services from Kolkata, Ahmedabad and Amritsar. Two of the new aircraft will be deployed on Indian sector (cities not yet decided) and the rest will be for China and Saudi Arabia,” Kansakar adds. Established in 1958, the airline claims to have always made profit despite its small fleet and “have never been in the red”.